Bloating can of course be caused by many factors– candida, parasites, pathogenic bacteria, food intolerances– but if you find your bloating worsens over the course of the day, you experience painful bloating after every meal, or if you are bloated after meals where you think you’re even avoiding the hard-to-digest foods like gluten and dairy, your problem could be SIBO. 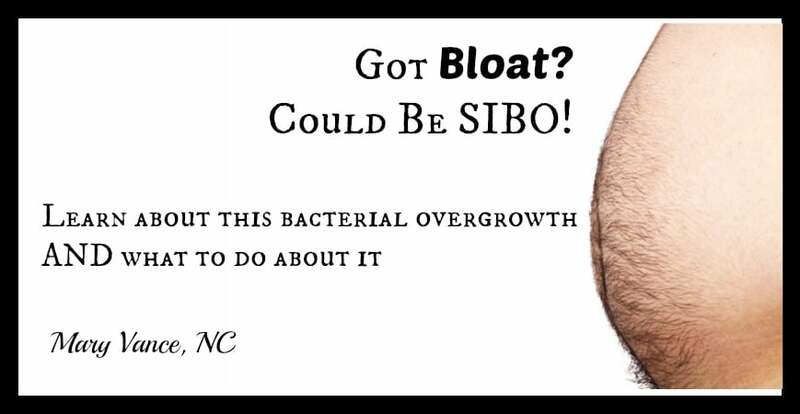 SIBO stands for small intestinal bacterial overgrowth. We have trillions of bacteria–both good and bad–predominantly in our large intestine. But when there are too many bacteria in the small intestine particularly, it’s a different ballgame. The small intestine is fairly sterile and shouldn’t really be home to much of the bacteria present in the large intestine, so when bacteria migrate up and take root there, symptoms such as pain, bloating, belching, abdominal distention, reflux, constipation and/or diarrhea result as the bacteria ferment the carbohydrate fibers you eat. SIBO symptoms present similarly to candida or leaky gut, but there are a few differences. I have many frustrated new clients that come in feeling discouraged because they’ve cut out gluten and dairy and/or they’re eating mostly paleo but still having symptoms. That’s a major bummer and typically represents a microbiome imbalance. 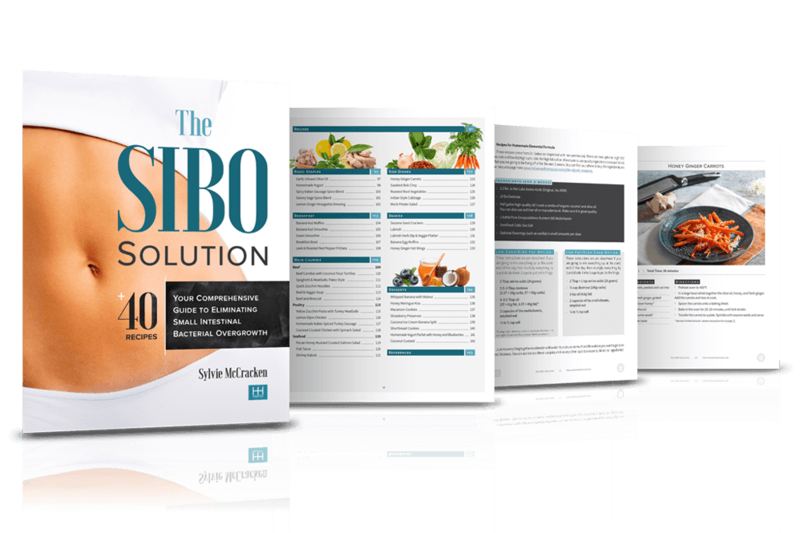 SIBO is present in a high percent of Crohn’s, Celiac, and IBS cases and could be a cause or contributing factor to these conditions. These folks do very well on a low FODMAP diet. slow gut motility in the small intestine: Our migrating motor complex (MMC) should clear bacteria from the small intestine, sweeping it down toward the colon, both overnight and when we’re fasting, but if the MMC is compromised in any way, bacteria migrate up and remain in the small intestine. These misplaced bacteria take root in the small intestine, and they and love carbs and starches as their main food source. They eat and ferment your food (contributing to deficiencies) and multiply, contributing to the pain and bloating from gas that gets trapped in the small intestine as the bacteria are fermenting the carbohydrates/fibers you ate. Slow gut motility is a main factor. There are many causes of slowed gut motility, including food poisoning, drugs like PPIs, hypothyroidism, certain diseases, adhesions, antibiotics, and inflammation that destroys motility. A very common pattern I see is SIBO taking hold after a bad bout of food poisoning. Interestingly, up to 80 percent of SIBO cases are caused by food poisoning. These folks will come in and say they haven’t felt the same since the food poisoning incident, yet all stool tests come back clean (SIBO isn’t detected via stool test). This is because the MMC is malfunctioning, allowing bacteria to creep up to the small intestine. SIBO is also common with hypothyroidism (estimated at up to 54%) because a sluggish thyroid = slowed gut motility that can allow those bacteria to migrate into the small intestine. You can test for SIBO, but it won’t show up on the conventional stool test we use to detect pathogens and parasites. There are certain stool tests that test for levels of both good and bad bacteria in the gut, and if I notice very high levels of certain bacteria, that’s a sign. But the best way to test for it is to ask your doctor for a lactulose breath test: you’ll need to drink a prepared lactulose solution, then methane and hydrogen gases are measured within 2-3 hours (SIBO feeds on the sugar and releases these gases in response). You can order your own breath test at directlabs.com (I Use BioHealth labs), but you’ll need a practitioner to interpret the results for you. Methane dominant SIBO is typically associated with constipation, while hydrogen dominant SIBO correlates with diarrhea. Note on treatment: SIBO is one of the hardest gut infections to eradicate. I highly recommend working with a skilled practitioner on this, because it requires a very specific protocol and follow-up treatment. SIBO very easily recurs if there is not proper followup. Although SIBO has no doubt been affecting humans throughout history, the research on it is fairly new and ever evolving. I also suspect SIBO is also becoming much more prevalent due to an increase in hypothyroidism, overall inflammation, antibiotic and antacid use, and poor diets. As with candida infections, the best way to treat SIBO is to starve it and kill it. You can use antibiotics like rifaximin and/or neomycin (from your doctor) or anti-microbial herbs. I’m beginning to see that the herbal protocols are more effective in the long run, but these protocols take longer. If you get antibiotics from your doctor, PLEASE be aware that you must follow-up the antibiotics with treatment to address poor gut motility, or the SIBO will recur. I see these cases all the time. People get quick relief with antibiotics, but there can be a very strong (I’ve heard up to 100 percent) recurrence rate after 3 weeks if you leave it at that. I believe this is true because there is no follow-up prokinetic treatment to fix the MMC, which is crucial to prevent recurrence. If your doctor does not mention any after care or prokinetic treatment, find a new doctor. Diet: Many people find relief eating a low FODMAP diet. Click here to read all about FODMAP foods and how to avoid them. SIBO diets are tricky because everyone’s healing diet will look different, as will the timing of particular foods to include and avoid. Here is my article on how to determine your ideal SIBO diet. Most importantly, make sure you’re avoiding sugar, alcohol, refined foods, and gluten. Avoid coffee, which is a gut irritant, if you can do it. The eventual goal is to remove the starches that feed the bacteria. The exception is during the anti-microbial herb or antibiotic protocols when you actually want to encourage the bacteria to be more active (source). 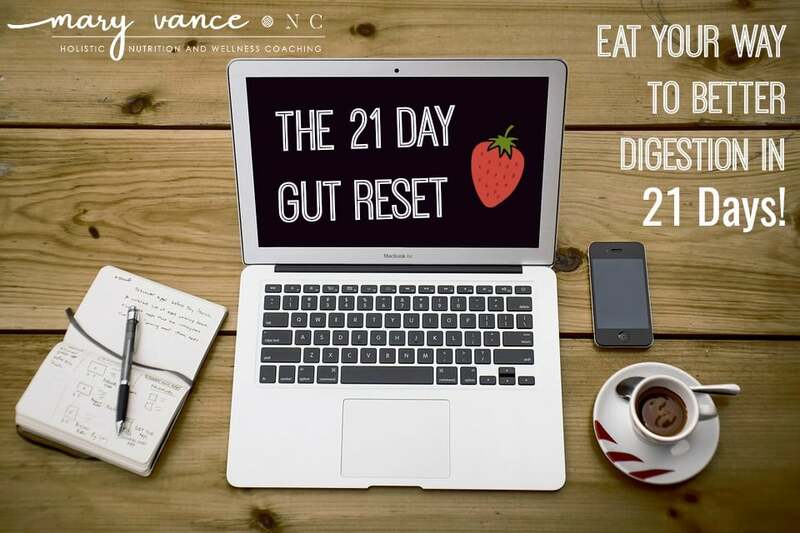 I recommend a paleo-type plan during the protocols, as they’re the best to reduce inflammation in the GI tract, then some variation of a low fermentable starch plan for three months following treatment. For severe cases I may recommend an elemental diet. I don’t recommend a low FODMAP plan longterm because it depletes needed short chain fatty acids in the gut. Herbs: I use various herbal combos with berberines, like this one, and other bacteria-killing herbs. Garlic and oregano oil work great, too, but the ideal protocol depends on if you’re methane or hydrogen dominant and which herbs you can tolerate. I use this one and this one if the person has SIBO and yeast overgrowth. This supplement is excellent to add to a protocol for methane dominant SIBO if the person is experiencing bloating, and I often recommend it during the 3 month follow-up to the herbs to prevent recurrence. I sometimes use neem as well. Opportunistic bacteria that take over when the gut flora becomes unbalanced create strong mesh-like structures called biofilms where they reside, hide from the immune system, thrive and multiply (source). For this reason, I may recommend a biofilm disrupting supplement, especially if yeast overgrowth is an issue. I use Klaire Labs Interfase Plus, BUT some SIBO experts think the biofilm agent isn’t needed. I evaluate on a case by case basis. You must also use a prokinetic agent after treatment to make sure your gut motility prevents bacteria from migrating back up to the small intestine. This is probably the most important point of treatment. A round of herbs is about 4 weeks long, and often several rounds are needed. Be aware that you may need up to 3 rounds of herbs to completely wipe out SIBO, depending on how high your gas levels are, as indicated by your breath test. A single round of herbs or antibiotics reduces gas levels by about 30ppm. 2 weeks of the elemental diet may reduce SIBO gases by up to 150ppm, so I usually recommend that for severe cases. Follow-up: It’s really important to use the prokinetic agent for up to 3 months post treatment to prevent recurrence. AND figure out the underlying cause in the first place to prevent regrowth. I use both Iberogast and Motil-Pro for prokinetics, depending on if the person suffers with constipation or diarrhea. I’ll also recommend a soil based probiotic and leaky gut healing support, such as glutamine and zinc carnosine. Want to Learn More about How to Get Rid of SIBO? Check out this excellent book series. Highly recommend. Even if you’re working with a doctor, PLEASE take a look at this book. 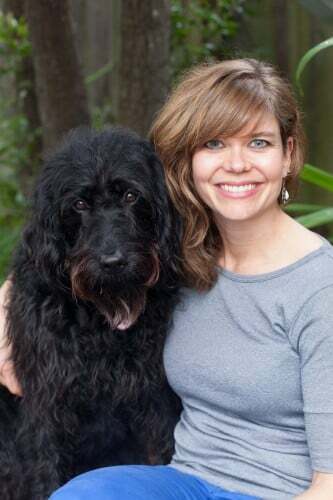 I cannot tell you how many frustrated clients come to me after several round of antibiotics prescribed by their GI docs that did NOT work for SIBO. This book + resources written by a colleague carefully lays out the treatment plan I also recommend. Click here to get it. Thank you for publishing this article. Please could you elaborate on how to tell whether you are suffering from SIBO or Candida. I have recently been diagnosed with SIBO from the gastrointerologist using the lactulose breath test. (Being a traditional medical doctor, he does not believe in Candida.) A naturopath has diagnosed me with Candida. I am unsure which to believe/follow. Have tried one course of antibiotic rifaximin without much benefit. Symptoms – bloating and belching excessively after food, loose bowel movements, constant headache and dizziness. I cannot give you any health advice unless you are a client of mine. You can contact me via my contacts page if you’d like more info. Thanks for the reply! Will do. Hi! thank you for this very informative article. I have a question, does DE work for the treatment of SIBO? Thanks! I’ve done some research on this, and there’s not much info on it. I don’t think DE would work for SIBO bc SIBO isn’t “bad bacteria,” just normally occurring bacteria trapped in the wrong place. Diatomaceous Earth will not absorb beneficial bacteria bc it has a negative charge, and bad bacteria has a positive charge. DE will attract and absorb the bad bacteria, viruses, fungi, etc without harming anything good or beneficial. I love this article. But just to clarify, you mentioned that garlic can be effective. Isn’t garlic a FODMAP? yes! garlic is a FODMAP. but the garlic oil doesn’t contain any of the fibers or starches and is an excellent treatment for killing SIBO (methane dominant particularly). Thank you for all this wonderful info! Do you have a page (or can you recommend a site) where I can find more info on the paleo-type diet that you recommend here for during the herbal treatment? everyone’s SIBO diet looks a little different depending on which foods you can tolerate. If you haven’t been previously paleo, then continue eating your normal diet with a few modifications (no dairy, gluten). If you are paleo, stick to that type format. The idea is not to eat low FODMAP while you’re taking herbs/antibiotics so you have a better chance of killing the bacteria. I was told I have some dysbiosis. Bacteria overgrowth but not exactly SIBO. I was told to only have quinoa and millet at first, and avoid all added sugars, even whole grain bread and pasta (gluten free). Is this best to do; should white rice, breads with yeast (has sugar too but usually very little) be cut out? Which is best-suited for constipation, and which for diarrhea? Jon, Motil-Pro can speed up motility, so it’s best for constipation and contraindicated for diarrhea. There are also RX pro-kinetics available if you’re working with a dr. Thank you so very much for this article. I can’t tell you how much internet searching I’ve done on this and your website is the first to give me concrete information. My 12 year old has SIBO from food poisoning. Your article specifies Methane dominate SIBO but she is Hydrogen dominate. Can you give me any information on that? herbs and other supplements? Her Dr. Said Interfase, Xifaxin, and ginger. What are your thoughts? Allisha, each SIBO case is different dependent upon test results/gas levels. I’m happy to set up a consult with you if you’d like guidance. It’s very important to follow up the protocols with gut healing and prokinetics, as there is a very high relapse rate if not. Thank you for a great article. I was wondering if odors were a sign of SIBO? I sometimes give off an odor from my stomach that has been described as rotten eggs or sewage. It’s incredibly embarrassing. MV: yes, you’re describing a relatively uncommon type of SIBO called hydrogen sulfide SIBO. There isn’t a test for it currently, but it presents as a flat-line pattern on the typical breath test. Many practitioners miss it for this reason. Symptoms are all the classic SIBO signs, intolerance to sulfur-containing foods such as eggs and cruciferous veggies (meaning these foods create the smelly gas and pain), and the rotten egg smelling gas or odor you describe. Thank you so much for your response. I will definitely bring it up to my doctor. Thank you for this article! I have most of the symptoms you describe, plus a bothersome shortness of breath that seems to be connected to the pressure I feel in my stomach. Is shortness of breath a symptom? Thank you! Chris, shortness of breath could be due to bloating, OR if you’re female, have your iron and ferritin levels checked. SIBO causes anemia, which is common in women. Shortness of breath is a sign of anemia/poor red blood cell counts. Thank you, Mary. I am a male. A year ago my symptoms began with shortness of breath, but then I developed bronchitis. My difficulty breathing sent me to the ER and various doctors over the next 6 months. The breathing issues triggered my anxiety to return and the symptoms compounded and became very hard to sort out. My own research, after many fruitless doctor visits, is leading me to suspect SIBO, putting pressure on my diaphragm. I have also been dealing with acid reflux for the last year, which seems to make everything worse. Presently, the anxiety is under control, with occasional exceptions, but the acid reflux, bloating, and shortness of breath persist. Whenever I search SIBO, shortness of breath doesn’t seem to be listed as one of the symptoms. I guess it is possible to be a combination of reflux, SIBO and anxiety. Thank you for your response. I’m going into detail in case it provides you with more insight, or helps someone else identify their own issues. 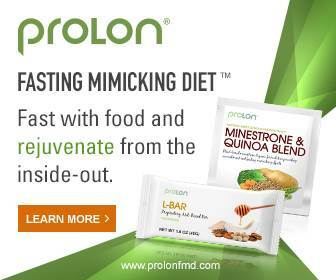 do i need to take a prokinetic even if i have regular bowel movements? (once a day)? Ann, yes. But the prokinetic you take depends on if you tend toward constipation or diarrhea. Most people who aren’t constipated do well on Iberogast. 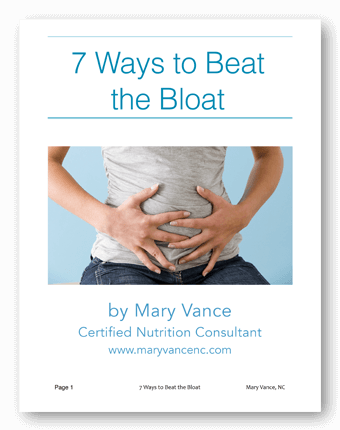 Hi Mary, I had Hpylori back in 2014 and have had bloating since. Would this be considered SIBO? HI Barbara, the only way to know for sure if via breath testing, but just because you had h pylori doesn’t mean you’ll have SIBO. It could be that you didn’t properly heal the gut. Thanks for the information. I will make an appt with my PC doctor and ask her for the breath test. I may just do some water fasting in the mean time or maybe some detox. Thanks again.